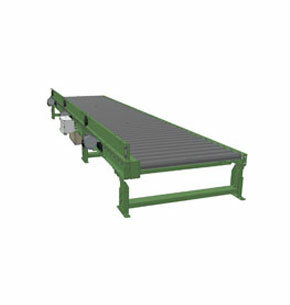 The model 190-E24EZ Accumulating Conveyor uses a series of 24 VDC motors to drive the tread rollers, eliminating the need for drive belts, chains, or line shafts. Quiet operation, zero pressure accumulation, and ease of maintenance and installation are just some of the advantages. Adjustable MS-Type Floor Supports Available.